We announced this program to other members. They don’t know the content of the programme. We told them the message. In appearance, live yourself. 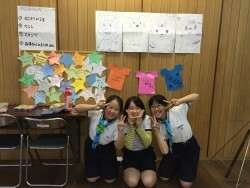 79 Kanagawa Troop Japan are happy being themselves! 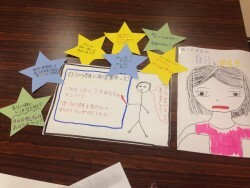 The girls in our troop experienced Free Being Me workshop at their summer camp. 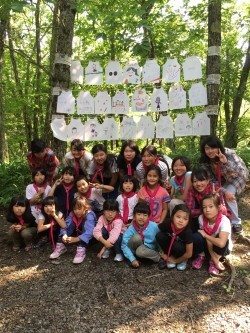 In the end of the programme, they designed their own “Free Being Me T-Shirts” and displayed them in the forest! FBM Training in Japan FBM Training was held on January, 2015 in Kanagawa, Japan. 40 Leaders participated the session and enjoyed the programme. 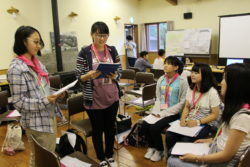 They are looking forward to delivering the programme for their Girl Scouts.